Once upon a time there were a group of kids who were geocachers. They saw their parents excited about geocoins with their names on them. But the kids did not have one to call their own. Well, this fairy tale has a happy ending!!! 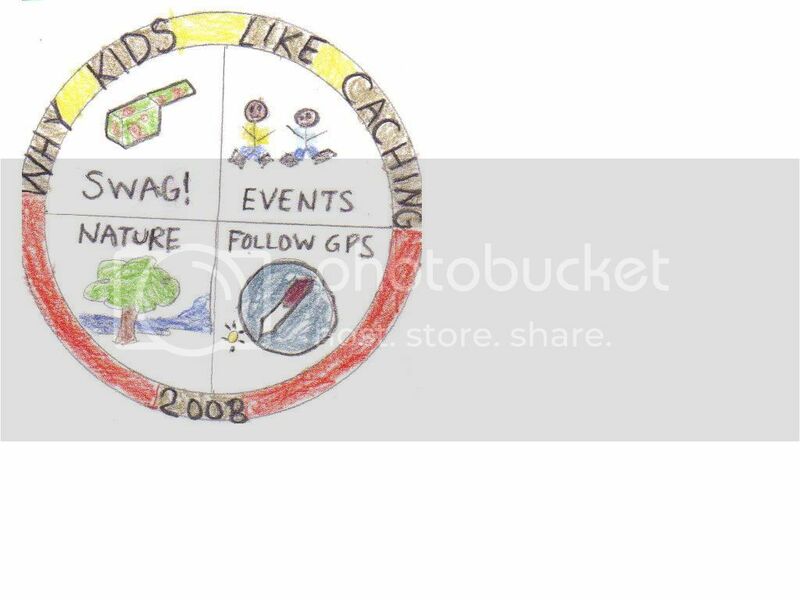 I was chatting with mousekakat before Christmas and the idea was brought up that a geocoin should be made for the geocaching kids out there with their names on them. We have seen so many photos of kids and their geocoin collections and how much pleasure they also get from geocoins. I brought up the idea with Oakcoins/Geoswag and this project is now a GO!! Thanks Oakcoins!!! 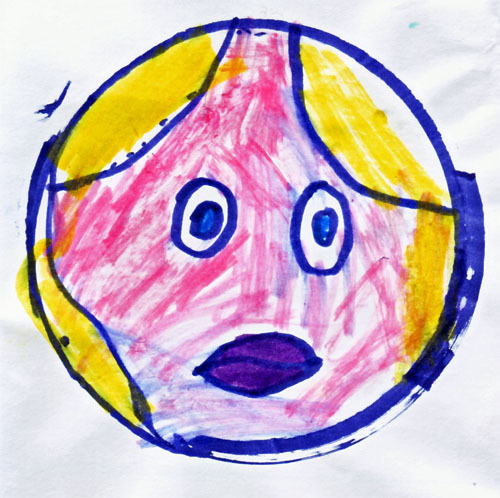 When I proposed the idea to Oakcoins I suggested a cointest for the design for the front of this Kid’s Community Geocoin. So it’s time for all you kids out there to pull out your crayons, markers, pencil crayons and pencils!! This kids community geocoin will be for kids aged 12 and under. This whole type of project is new to me so if there are any ‘kinks’ we can all hopefully work it out as we go. 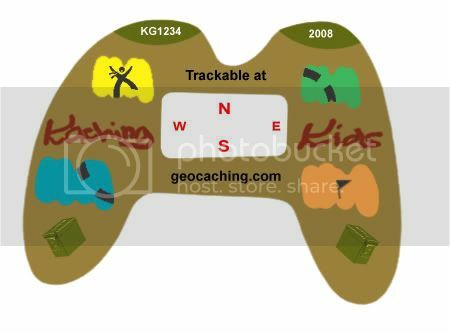 7)	It would be great if the design incorporated what geocaching means to a kid. It should be geocaching related or geocoin related please. Once the deadline is over to post pictures there will be a community vote. More details to come. 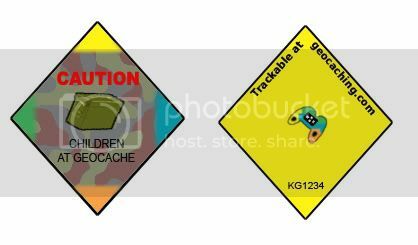 The winning picture will be used for one side of the kid's community geocoin. The winning kid will receive 5 AE editions of this coin once it is complete. After the drawing is selected for one side of the coin I will start the process of getting kids' names to put it on. This whole process will take a bit time but it should be a fun project to do. Thanks! So have fun and start drawing!! -The winning drawing may need to be altered a wee little bit when making die art...just to let everyone know. Not saying it will but it may need to be. -Yes the coin should be kid themed some how. Fun idea! I know a couple of kids that will be excited about this. This is a great idea, especially for the older kids! Have forwarded this to HarryMoe who, at 12 y.o.a., has over 300 finds and more than 50 coins in his collection. Oh, ToriExplorer (10 yrs) just LOVES to draw (and she's pretty good at it, too). I'll definitely get her to enter this contest. What fun! Naomi... looking forward to this! See! She's looking forward to it so much that I posted twice, lol! I'm 12 years old but I know a little bit of Photoshop. Is it OK if I design the coin on the computer and not draw it because im not too good at that? I don't see why not, Dimitri! Try drawing it first... make a rough sketch and then work in the photoshop from there....! PS... your geojellies are on the way soon! That's exactly what I was planning to do. PS. Can't wait to get the jellies! Thanks again. I'll tell the boys....they will be excited....and Jacob has had an idea for a long time...though its not really centered around kids...but for everyone instead. Shouldn't the theme be a KID theme?? Yes it would be good if it was themed around kids... that's why I asked what geocaching is for kids but I can make it more clear in the cointest rules too. Thanks Lori!! Would it be alright to use clipart or other images from the internet as I'm not sure about copyright issues etc. If you find clipart somewhere try doing a search on that site for copyright. If it says it is public domain you can use it no problem. Some clipart is obvious as it has a copyright logo on it or something written across it. Please don't use those. Thanks! Sure, I'll keep that in mind. Brenda will be thrilled...she barely squeaks in under the age limit (12). 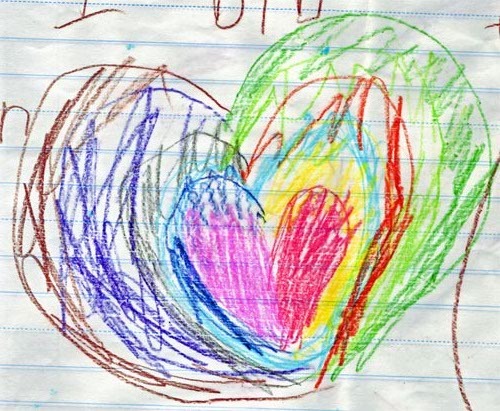 She loves to draw, so I am sure that she'll want to submit an entry...and what big sister does, Heather wants to do too (although her's might be more of an abstract art entry...LOL). Is there a maximum to the amount of designs you can submit? The names could be in raised metal on the back in the yellow space. At least she's trying, lol! Everybody promise not to laugh! I did the same thing with Buglet. We loved what he did with his paints, I don't think it captures what you guys are looking for. Made a few minor edits to my first design. I'm starting to work on another one. Is this for the front only or do we need a design for both sides? Front only. Gotta save room for the kids' names. thanks! Do you have the design for the back so the kids can get an idea of where to start? Will the names be on the front or the back? No I do not have a design worked out yet for the back as I will be trying to work it with the kids' designs. If you would like to submit both sides that is fine too. I was thinking the names would be on the back so the kids have more room to draw for the front. I changed my back design so there's a lot of space for names now. LittleLizard is working on his, it is a bit crude (as in a 7 year old's art). I am going to try to scan it then post by end of week. Great! Looking forward to seeing LittleLizard's work. Hanna has a FEW she has drawn, but no matter what I do I can't get her to do something tied in to caching!! Here are a couple of Hanna's entries! I don't think she's finished "making" coins yet, either, lol! I love the colors in the heart!!! Beautiful drawings. OK here's my third and probably final attempt. It also the one that I like the best out of my entries. Dimitri, I think you've done a great job! There are adults out there that can't handle photoshop as well as you do! He has his own nick but I post for him on the forums. thats really nice, you sure he's 7?! Naomi, I didn't laugh when I saw Hannas art! Actually I think they did hear me over the cubicle wall, an audible "awwww.." Those drawings are precious. Oh this is cool! I'm new to geocaching myself, but am already addicted. I introduced it to my class of 4th graders and they are totally into it as well. This might make for a cool "class" art project. I'll post em soon! Yes he is! Art and Music are his thing though. He wanted to start piano at 2-1/2 I made him wait until he was 6. He has been playing for one year and has started writing his own music. No doubt he's got the "artistic" side brain!! He did ask me how to spell stuff though! I am not a child! sorry for this! I would just like to say some things, if I am allowed to! Sorry if my english are not good enough! It is a great idea to make a geocoin for children! children are our future! Geocache has a tiny but precious greek word on it! Geo comes from Gea! Mother Earth! Geocaching helps people to come closer to nature, closer to mother earth and understand some things we have forgotten during time! We forgot to love earth, we forgot to love and protect nature! Earth gives us life! 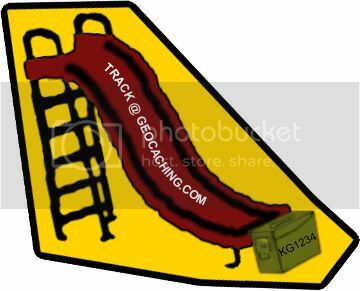 geocaching gives us a new way, a good way of living! even if we do not relise that, we are changing into better men! geocaching even help us to come closer! Yes! I am not good in designs or drawings! Sorry, I will not place any photos! (Plus that I do not know how!) I will let your mind and your fantasy to make the desing! I will close with a poem of Yannis Ritsos, a great poet from greece! Since I do not know if the foroum "takes" greek letters, I will try to translate it! I hope to understand the meaning of the poem and I hope I will not "Kill it" in my translation! would be embraced, I think! OMG, Gatoulis, that was just gorgeous! I loved it! Micke, my husband, has studied a little Greek in his priest studies (they have to learn enough of either Greek or Hebrew to be able to read the Bible in it's original language.) and I bet the poem is even more beautiful in Greek! Feel free to email it to me, both our computers are set up for the Greek characters! Ble!! You've been so quiet lately I've been a bit concerned about you, BUT... you did a great job designing that, I LOVE IT!!! WOW... thats an awesome design.... I'd definately take one of those! wonder if it can be done in boy as well as girl for those who have boys.